I love making things with duct tape. The possibilities are endless. 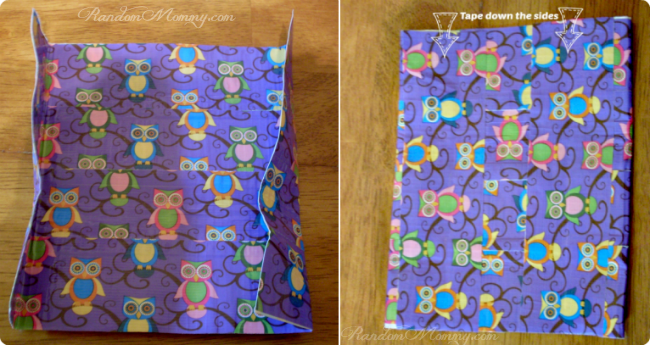 Check out this duct tape craft my daughter and I did together, just in time for back-to-school. Isn’t that cute?! 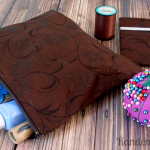 If you would like to make one, you’re in luck! 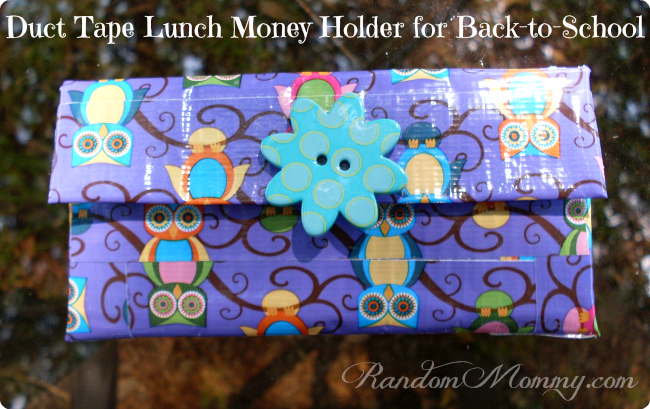 Here is a step-by-step tutorial on how we made this cute little lunch money holder. 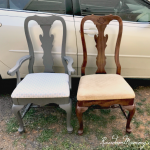 Start out by cutting 4 strips of tape about 8″ long (measurements don’t have to be perfect) and lay them on a flat surface, overlapping slightly, sticky side up. Then, lay four more strips of tape, about the same size, on top of the first 4 strips. If everything doesn’t line up perfectly, that’s ok. Just cut any uneven edges to make them straight. I just drew a straight line down the sides using my ruler and then cut along the line to make my sides nice and even. 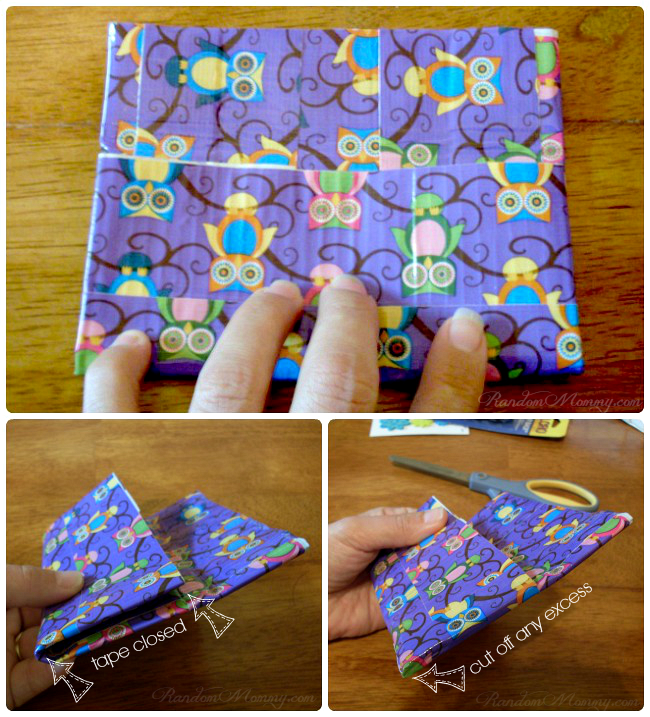 Fold the sides in about an inch on each side and tape them down. Next, you will need to fold the bottom up as shown below. 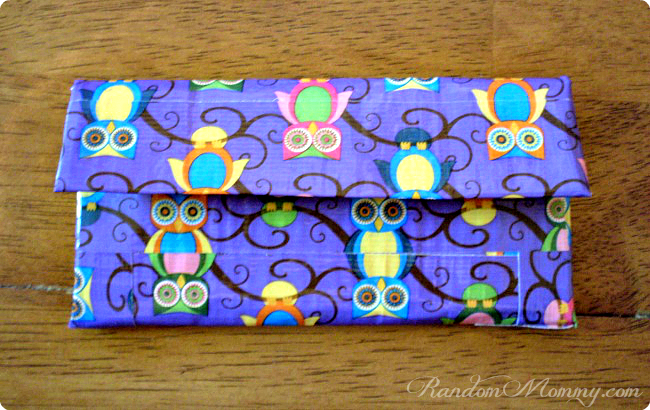 Then, use a strip of tape on each side to secure. No need to have exact measurements. If you have any excess, simply trim it off. 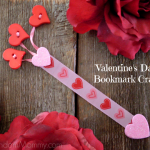 To finish off any rough edges, simply run a strip of tape along the edge. For example, these gaps along the top. That’s it for the tape. 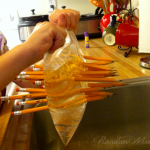 Now, to make sure the lunch money stays safe! First, cut a strip (the rough side) of the velcro to fit, peel off the backing and position as shown below. Then, place the another strip (the fuzzy side) of the velcro on top of the other one. Peel off the backing on that strip and then close the flap. The velcro will then stick to the top flap and will automatically be lined up right where it needs to be. But why stop there? G and I decided to that our little duct tape craft could use a little something more. So, we took a little bit of velcro and stuck it on the front. Then, we put another piece on the back of a cute little button. You can use velcro dots like we did, or you can just cut little squares out of the strips. You can put velcro on a bunch a different buttons so you can simply change the look a little whenever you like! Fun, right!? So, there you have it. 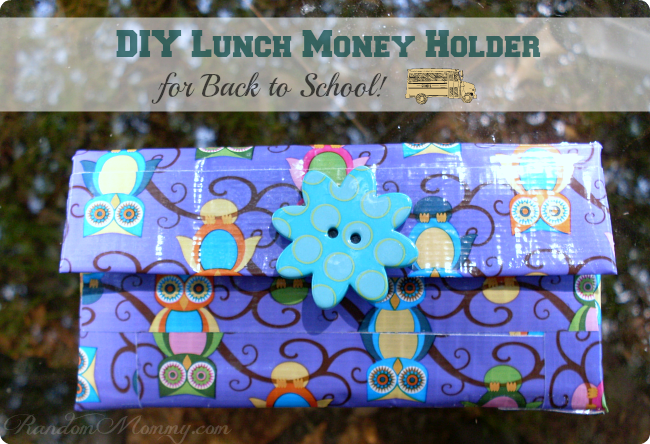 A cute little lunch money holder just in time for back-to-school! P.S. This is the first tutorial I’ve ever done. I hope I’ve made it easy to follow, but if not, please feel free to leave a comment with any questions and I will be more than happy to help!! So cute! I love this idea! 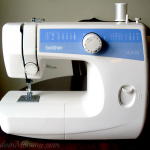 I need to buy a bunch of duct tape to add to my craft supplies!! Ashley S recently posted..Experience Kissimmee and Join Us for the #SummerSequel & Washington Nationals Twitter Party ~ August 14th! So cute! I have just prepped this craft for my 22 Daisy Scouts tonight as party of our Money Counts leaf! My daughter is sooo excited!